For many eCommerce merchants, their website’s live chat function is one of their primary means of communication with customers. That is why it’s crucial for eCommerce merchants to adhere to a well-developed set of best practices that helps to ensure their live chat representatives leave their customers feeling engaged and satisfied with the interaction. Fortunately, we have created a list of the live chat tactics that will help eCommerce merchants provide customers with a great online experience. 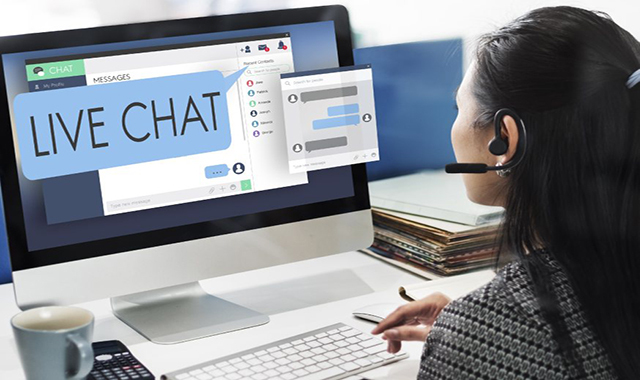 Although some tips may seem simple in nature, many businesses fail to get the basic components to a successful live chat experience right. One of the most important aspects of live chat is its visibility. If customers can’t immediately see this feature while they are shopping, chances are they won’t search it out. 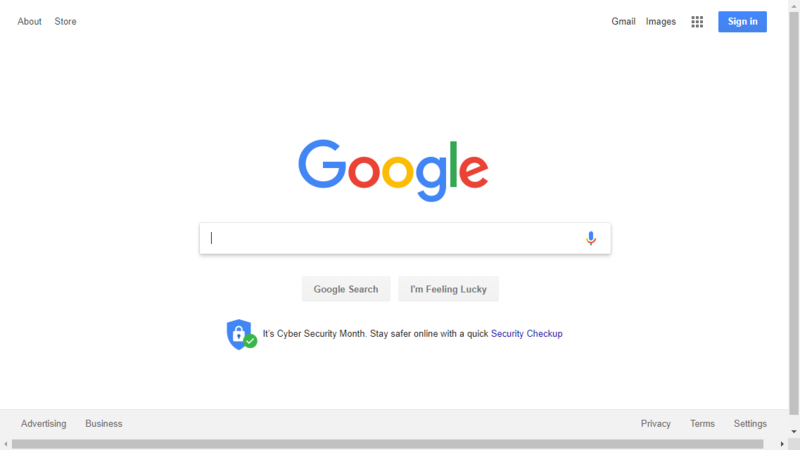 In order to be easily detected, the window should be in the bottom right corner of the page with some sort of bright icon that is easy on the eyes yet readily seen. Even better, reach out to the customer first! 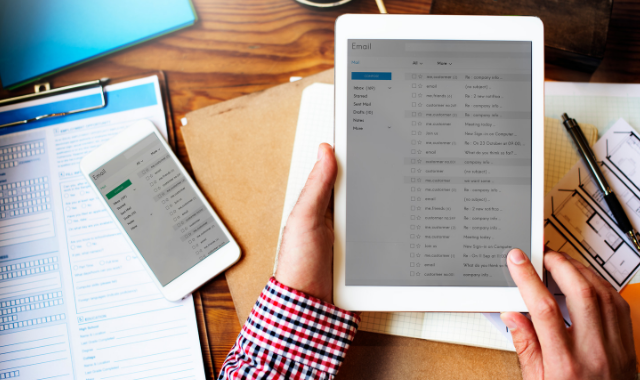 Automate the first message to communicate with the customer before they run into an issue – that way they immediately have a helpful resource at their disposal. Visibility also means that live chat should be available on every page in the same spot. If a customer ever runs into a problem they shouldn’t have to backpedal to the main page to receive assistance. Replying promptly is the most important function an eCommerce site’s live chat can serve. Quick response times showcase a businesses’ ability to be attentive and professional in handling customer issues. An easy way to ensure that your live chat is speedy is to set up an automated response for initial contact followed by a swift follow up from a real representative. This way, shoppers will be engaged immediately and be attended to as quickly as possible. Understanding exactly what a shopper is asking using the live chat feature is the key to properly solving and answering their question. To get a full scope of the issue, instruct your live chat representatives to ask plenty of detailed, pointed questions at the beginning of the interaction to understand exactly what the issue is. Being thorough at the start of a conversation will help save time for both the representative and the customer later on. An eCommerce merchant should sound professional, but also like a human being. Sounding too robotic will give the impression that there isn’t a person on the end of the line, which will leave the customer feeling isolated. Greet the customer warmly as they sign on and consider personalizing it with their name. Ask how they’re doing and how you can help them. Maintain a friendly tone throughout the interaction to keep that personal touch. Additionally, be sure to maintain a tone of voice that properly reflects your brand. If you sell high tech gadgets and tools, you may be slightly more professional than an eCommerce store selling makeup or jewelry. A live chat representative should do everything in their power and capability to fix the customer’s issue. When they can’t, they should know when to escalate to a supervisor, IT professional, or alternative department. Be sure to vocalize this to the customer and assure them that help is on the way – if you take too long or leave them hanging they are more likely to abandon their cart and seek out a different merchant. Once the live chat representative shares their solution with the customer, they should confirm that they have solved the customer’s problem. Once this is complete, they should ask, “Is there anything else I can help you with?” The customer may have additional issues to discuss and it should be the live chat representative’s goal to provide a comprehensive customer service experience. Even if the customer doesn’t have additional questions, it highlights the eCommerce merchant’s commitment to superior customer service. Once the customer confirms they have no other concerns, an eCommerce merchant should present them with a poll or request comments on the interaction. 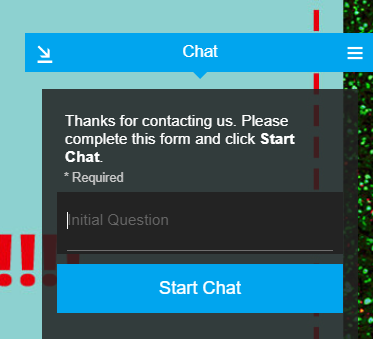 This type of direct request is a great way for an eCommerce site to gain valuable feedback and continue improving their live chat service. For more tips on how to create the optimal live chat experience for online customers, contact our team of experienced eCommerce professionals today. Ever wonder how a user experience change on your site would affect conversions, but afraid to wreck your existing customer path-to-purchase? In these cases, a tool like on-site A/B testing—a way to compare one template style to another—can be a valuable asset for businesses to utilize. Even better is that most eCommerce platforms have built-in features allowing merchants to A/B test relatively easily. (If your platform doesn’t, there are plenty of extensions available for testing, too). 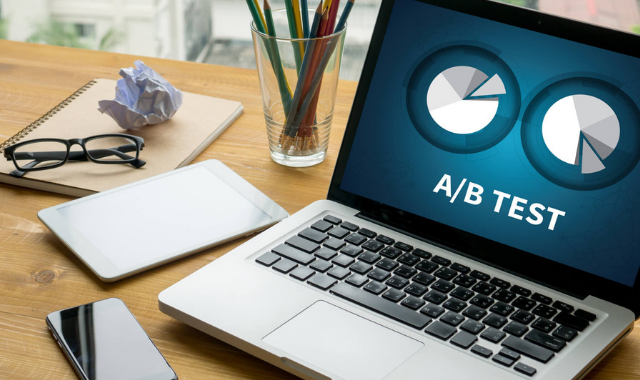 The A/B testing ideas listed below will help you understand what your customer’s preferences are when it comes to the layout of your website as well as what gets them to select and ultimately purchase a product. Whether you’ve just begun to look into the benefits of A/B testing and are ready to try it for the first time or you’re an expert looking for additional ways to tinker with your website, these tests will help you discover how to best present your website to your customers. Many online shoppers only end up making a purchase if an item is discounted or at a special price. Making it easier for these shoppers to find the items on sale on your website can be a great way to increase conversions. On your website’s homepage, consider adding a sales and specials section that highlights the best deals your website has and encourages customers to act fast before it expires. Even if the “on-sale” sale section on your homepage only provides a link to the actual discount page, it still serves as a faster, more efficient way to point customers in the direction in which they may be already interested in heading. 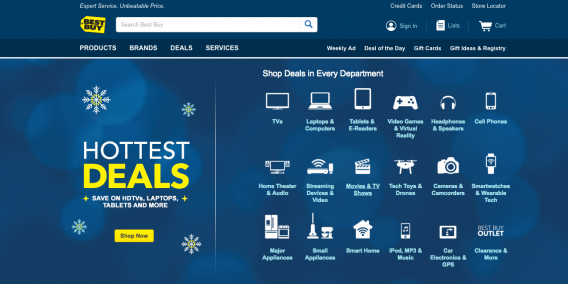 If your homepage isn’t currently being utilized in a way that emphasizes your best-selling products, testing a section that does just this could be helpful. 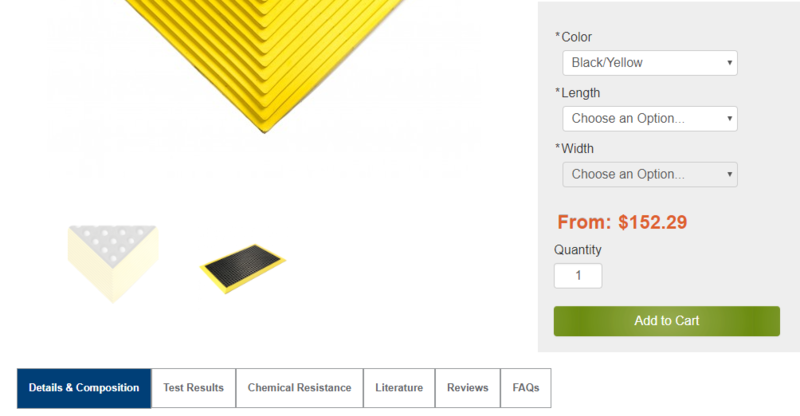 Be sure to include great, enlargeable product images with clear pricing. You can also encourage quick purchases by including an ‘add to cart’ button for each product being showcased. 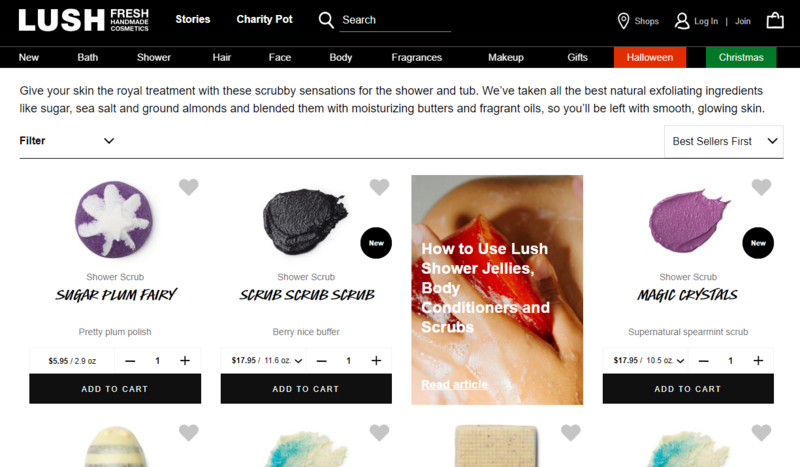 Testing a best-selling products section is one of the most surefire ways to encourage purchases and increase conversions. Customers life to buy products they know other customers have bought. If your website has a vast variety of products, chances are you likely already have an on-site search function in place. However, if that search function isn’t visible or prominent enough, customers may have a hard time using it. 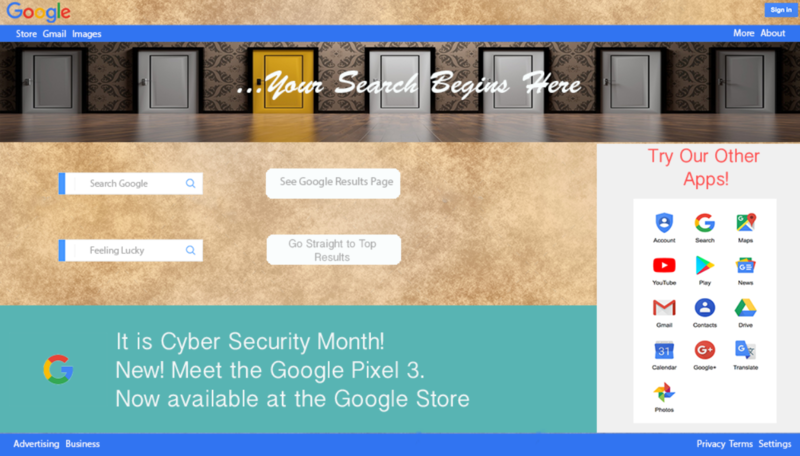 You may want to test out a different size or location for your website search bar to see if it makes a difference. A well-located search bar can help your customers have an easier time locating the products they were looking for, leading to an increase in purchases made. If you’re looking to add a bit of an edge against the competition for your eCommerce business, consider showcasing your benefits at the top of the home page. Many companies using this feature to tout any current free delivery deals, discount codes, reviews, and loyalty programs. If you decide to test out a benefits bar, make sure to include only the most important aspects that set your business apart for shoppers. Nearly 44% of online shoppers report wishing they had live chat assistance in the middle of a recent purchase. If your business has the personnel bandwidth, try adding the feature to see if your conversions increase as a result of this quick assistance. 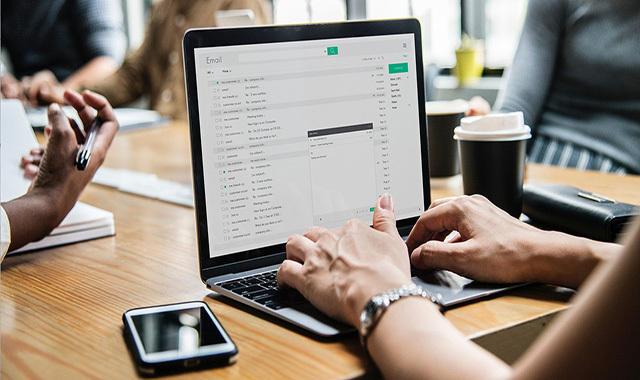 Not only do chatboxes help with customer service and conversions, but they also serve as a means to build your brand and receive feedback (read more here). Ideally, set up the live chat assistance feature as a widget that floats somewhere on the side of your website and that can be clicked on to expand. This way customers will be able to use the live chat whenever they need to. These A/B test ideas should help you understand your shopper’s online habits better, allowing you to better cater to their preferences. We recommend rolling out these tests incrementally instead of all at once so you can truly measure how each feature is performing without overwhelming your shoppers with new additions. For any additional help crafting the best website experience possible, be sure to contact our team of experienced developers and solution specialists today. We’ll get straight to the point—social media does affect SEO. More interestingly, though, is the question of “How?” Business owners are told over and over again that having a social media presence is key, but sometimes it can be hard to see the benefits. Social media is a great asset for businesses for a lot of reasons: it’s a great customer service tool and a convenient place for customers to get information about a business. Beyond those incentives, one of the best benefits of social media is the way it works in sync with an SEO strategy. 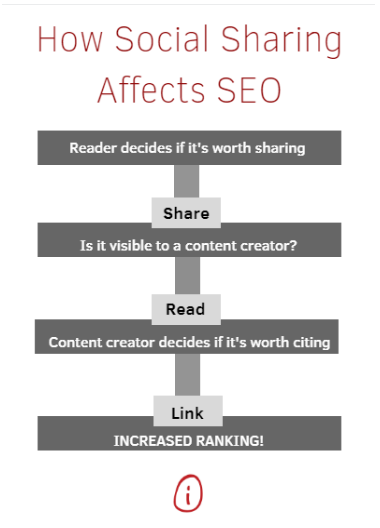 Though social media does not directly impact website rankings, it is still a very powerful tool used to leverage SEO. Read on to take a closer look at how social media affects SEO by increasing visibility, brand recognition, and more. The simple truth is that the more a business puts itself out there, the more people will see it. The main driving force behind any marketing effort is to increase leads and sales—in order to convert potential customers, they must be coming to your site in the first place. When searching for a company online, social profiles will most likely appear in the first page of search results, usually right under their website. This means that if your company has social media accounts like a Facebook page or Twitter profile, it will serve as another opportunity for potential customers to see you when they make a Google search. 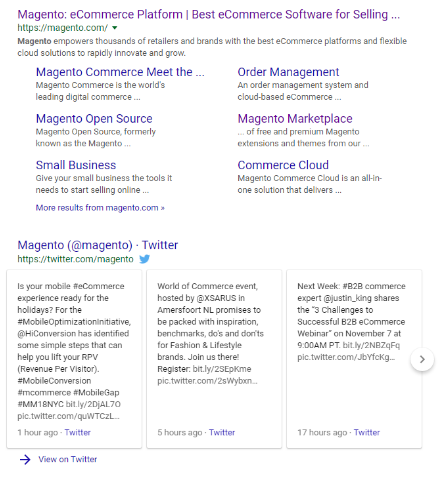 A simple google search for the word “Magento” has the company’s Twitter account appearing second in the search listing. This may seem minor, but it does increase the chances that they will end up on one of the pages that you control. Remember: the bigger the net, the more fish you catch. Brand recognition is important for any company; when an audience can recognize a company by its logos, slogan, or brand colors, you’ve done something right. 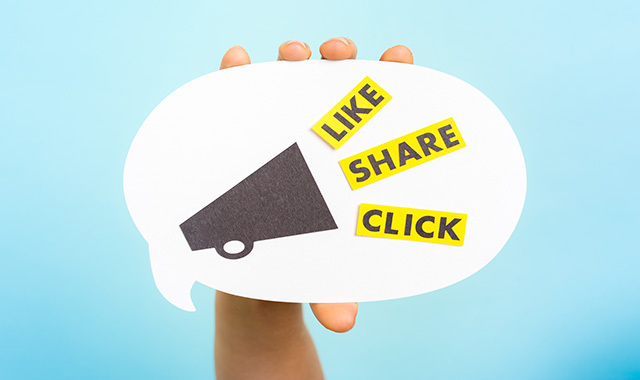 In order to further increase brand authority, utilize your various social media profiles to encourage social sharing. But, despite the common misconception, “popularity metrics” (like the number of followers or likes) do not cause higher rankings. As you can see, a couple of things must go right in order to affect rankings in a positive way. In order to help this process, it benefits you to actively build relationships with content creators so they consistently cite your content. In addition, social sites give customers a chance to review businesses. Reviews can be a huge factor in SEO, especially when it comes to local businesses. Search engine algorithms love reviews, and they make up 13% of ranking factors when it comes to local searches, and 7% for general searches. Be sure to encourage reviews with incentives or gentle reminders through social media; they can make a big difference with customer trust and SEO. There are over one billion active daily users on Facebook. That’s a lot of likes, comments, and shares for you to tap into. With a blog, once you publish a post, it can get buried underneath pages and pages of other posts and seem lost forever. But with social media, you can repost old content when it’s relevant to do so, or blast out messages whenever you want so you know your word is getting out there in a more controlled way. In addition, you can target content towards the audiences you know will benefit most from your messages. That may mean reposting an older blog on Twitter when a similar topic is trending or referencing an older, more-detailed blog in a Facebook post depending on what followers have been most engaged with recently. We’ve already discussed the importance of reviews for SEO, but it’s also important to be consistent with business listings and NAP (name-address-phone number) citations. This consistency in how your business is listed across the web (including social media) is essential for local SEO. Social media profiles need to have keyword-rich descriptions, clear indications of services, hours, phone number, and an address that is identical to the one on your Google My Business profile. When you are consistent with your NAP (meaning the same information shows up on all profiles and directories) search engines understand who you are, what you do, and how users can find your business. Recognize that rankings are an outcome, not an action. The best search optimizers understand the importance of indirect benefits that come from social media. Many aspects of modern marketing are based on relationships—including search. And relationships are created on social media. If you need any more information on SEO or social media, feel free to contact us today. The dream website for many eCommerce merchants contains every feature they can imagine, plus any customizations required to make growing and running their eCommerce business a breeze. For many retailers, Magento has been that dream. A feature-rich, low-cost, easy-to-customize solution. Unfortunately, we’ve seen that dream morphed into a nightmare for many poor souls who over-extended themselves by adding too many features and customizations to their Magento site. Upon initial build, it may seem feasible to clear up the outstanding bugs of an overbuilt site. 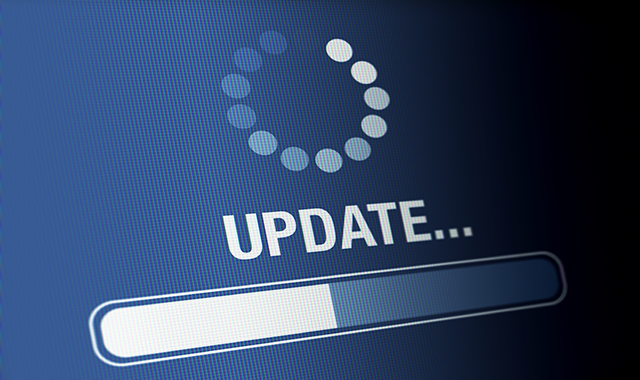 But as time goes on, issues can pile on top of one another, potentially leading to your entire site going down and many customers being lost (along with the corresponding sales revenue). So — How Much is Too Much? Rising Costs – Not only do you have high costs of maintaining and upgrading the customizations, but you also have costs of maintaining documentation and know-how for them. 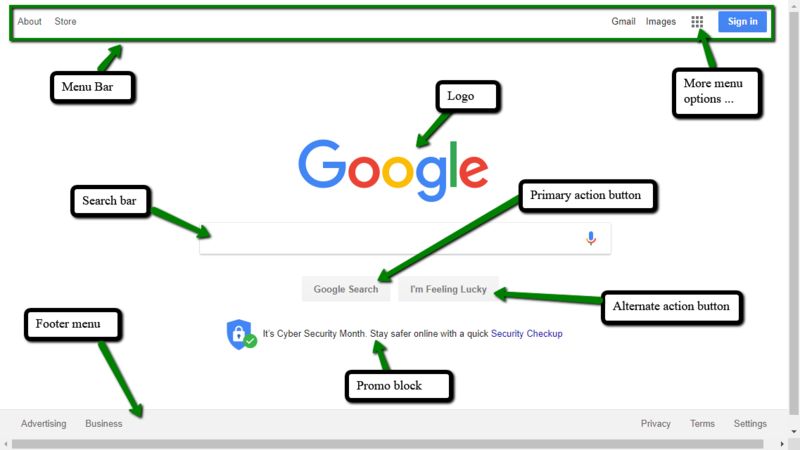 Security Risks – Sometimes extensions can contain code that opens a backdoor breach into your website. Third party extensions can offer some great functionalities for your eCommerce store but they should be thoroughly vetted for quality and security by an experienced developer before being installed. Sluggish Speed – It goes without saying that in a competitive environment today, an eCommerce company must place website speed as one of their top priorities. Most extensions make HTTP requests to load assets like CSS, scripts, images, etc. If coded incorrectly, extensions can cause many different types of performance issues, some of which can be difficult to troubleshoot. Page speed should always be critically evaluated when a new extension or customization is being tested in a staging environment. Website Continuity (or lack thereof) – Due to Magento’s vast and complex architecture, difficulty with code can cause extensions to conflict with one another. This can cause pages to crash unless the code has been fixed. Nothing is more unnerving than a “Page not Found Error,” except for when a customer sees that error. Per the following statistic: “Around 74% of visitors leave and never visit a website again after just one instance of a ‘Page Not Found’ error.” Those aren’t great odds. I’m sure we’ve spooked you by now. So, how do you prevent these unfortunate consequences? Ultimately, we have to take a look at your company size, revenue, and resources. Smaller Merchants – Is Magento Right for You? With the onset of Magento 2, we’ve received migration quote requests from many smaller merchants running Magento 1 Community Edition that would be much better served by instead using a software as a service (SaaS) platform like BigCommerce or Shopify. These companies may have been lured into running Magento because of its many features and flexibility, but the cost to maintain Magento is way beyond what these SMBs are capable of. Instead of Magento working as an engine for growth, it becomes a liability, forcing these merchants to spend precious resources they should be dedicating to marketing on upgrades, patches, and support. In addition to the maintenance costs being (commonly) too steep, these merchants lack the resources in-house to properly administer Magento which further lowers their ROI. In our opinion, it is usually best for small to midsize merchants with less than $5 million in annual online sales to try and limit their use of custom modules for Magento to 10 or fewer. While this number is somewhat arbitrary, it is a good benchmark for merchants wishing to mitigate the risk of getting into more customization than they can safely handle. Most merchants selling less than $1 million online will likely be best served by a SaaS solution like Shopify or BigCommerce. If these merchants using a Saas are looking to safely mitigate any risk of performance issues or compatibility bugs, they should likely look to leverage existing templated themes and fewer than 5 apps. While larger online merchants have the budgets and technical acumen to properly run a website platform like Magento, they are not impervious to serious harm from adding too many features and customizations. We’ve unfortunately witnessed large merchants greatly reduce the effectiveness of Magento with too many features and customizations. Many times in these situations, bullish executives (in an attempt to make a big splash with the launch of a new and better site) demanded the addition of excessive amounts of features and customizations while building a new site on Magento. For larger merchants needing a large number of complex features on their website, we recommend ensuring that their customizations are loosely coupled and operating by interfacing with the Magento API to minimize performance and code compatibility issues. For example, a merchant wishing to solve complex shipping quote requirements can mitigate the risk of over-customization by using the 3rd party app ShipperHQ. ShipperHQ is a SaaS solution that integrates to Magento via a small bit of extension code and APIs. Hence the app is very loosely coupled and thus has minimal risk of causing code conflicts or performance degradation. 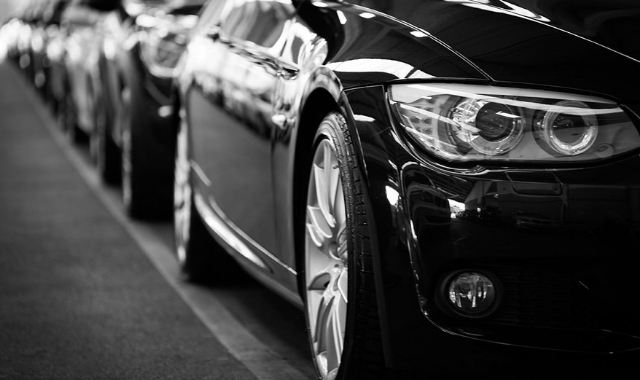 Customization can become overbearing, but it doesn’t have to. Don’t fear Magento extensions — but don’t trust them blindly either. Not all extensions are created equal. As long as you follow these guidelines and are strict about having a senior developer vet and test extensions before using, you can proceed with caution. 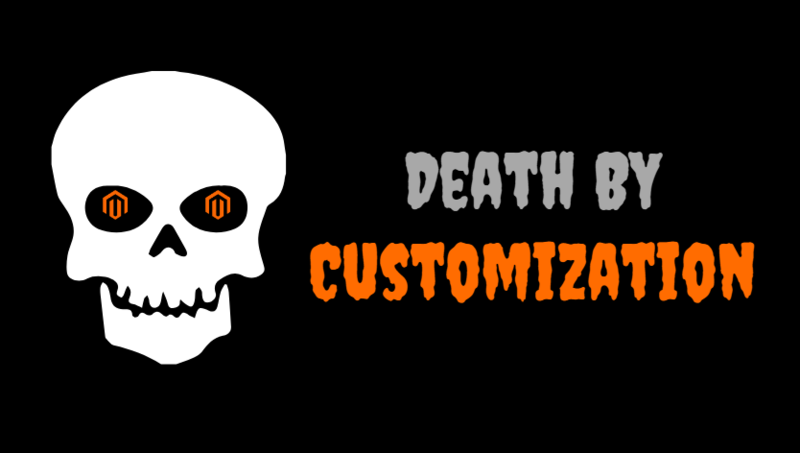 As always, if you have any questions about this or are in over your head with customizations, call us today to speak with a Magento Developer. The word “simple” can be a little deceptive. For eCommerce sites, conversion is the ruling metric. So, simplification is a tactic that you HOPE will give you better conversion. Often, what we describe as simplification is not achieved by removing content from the page. Instead, site simplification uses UI design principles to focus and compartmentalize shopper activity. 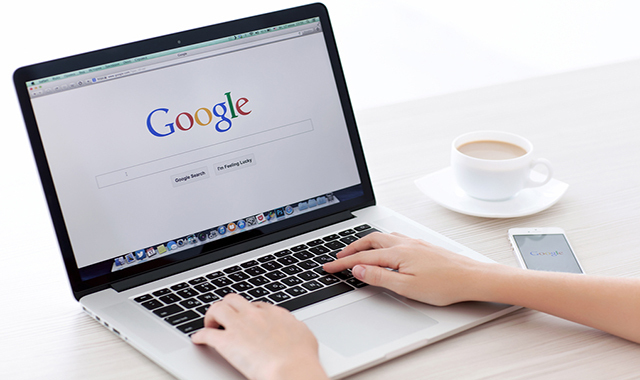 Google is not strictly an eCommerce site, but it is the most-offered example of simplicity. On the first impression, this baby is zen. You know exactly what to do here, not only because you’ve seen it a million times, but because it is obvious the first time you see it. Really though – just like on your site – there is a lot going on here. Simple looks easy, but it’s obviously not. As the illustration shows, how a given set of content is formatted and arranged can result in brilliance or an uninspired mess. Obviously, you and I don’t have Google’s resources, but we can take some lessons from the example. Communicating your visual brand doesn’t require elbowing aside the eCommerce path to purchase. 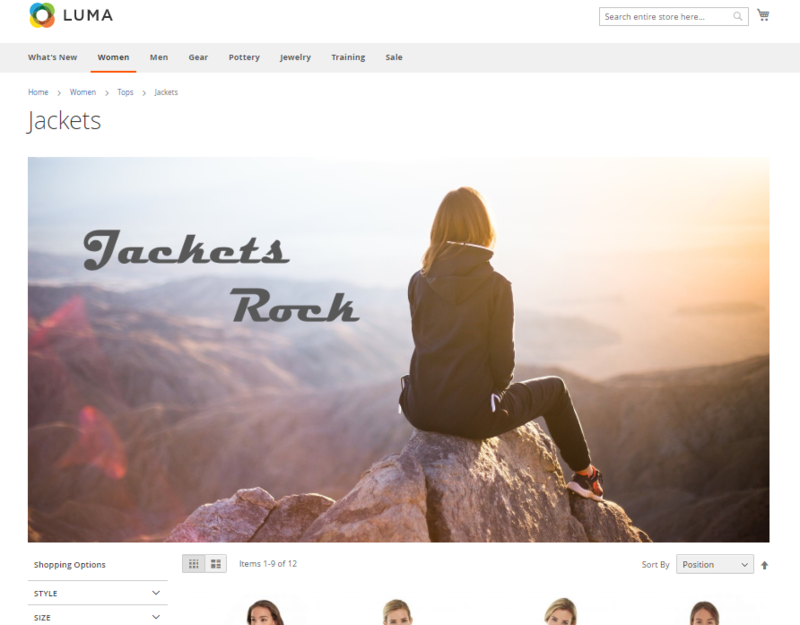 For example, Magento’s default theme provides for an image at the top of each category. Key to remember – it is optional. Another source of clutter included in most eCommerce themes is the sidebar, which often says to the shopper: “you probably don’t want what is on this page; here’s another thought.” Think carefully before including sidebar elements, which do not translate readily to mobile, anyway. Background textures, colored text, underlining, too many control elements (arrows, buttons and open fields) can stress out your page visitor, often evidenced as increased bounce rates. Use control elements extremely selectively and they’ll provide prominent and effective visual direction for your visitors. In your home, clothes would be easier to pick out if they were carefully arranged by color on the floor. Will you stop wearing clothes if they are put in a drawer instead? On your website, there are many categories, tools, features, and benefits all competing for attention. It is tempting to use the flexibility of a web page to find places to display all of them. That is designing by fear – thinking the shopper will not click to explore. Instead, set filters to closed by default. Place content in collapsing divs, dropdowns or tabs. Matsonline.com has a complex product configuration and extensive product documentation, but with a well-managed UI, the goal of the page is still clear. Think of your shopping pages not as billboards or directories, but as a neatly organized and well-labeled closet. Present a confident, simple and intuitive experience and trust the shopper to shop – that’s what they came to do! To get simple, think integrated. Focus heavily on the things that spur conversion in eCommerce: Blazing fast page load, intuitive user interface, high-quality product images, authentic reviews, high-authority links. When those essential elements are in place, then your site will have the freedom to shed or reduce the emphasis on promotional content, memberships, forums and offers better suited to ads and social media. The primary technique for maximizing simplicity is something you’ve often heard but is not often practiced: Mobile first design. Designing for desktop usually means you are starting with a grand and polished vision of a home page – that usually gets marked up and appended by numerous well-meaning hands. Designing for mobile forces discipline on your requirements. The best mobile sites behave like a guided tour – with each landing page focused on one thing and branching out from there, presenting choices in clear and manageable chunks. A desktop site that looks and functions like a mobile site is far preferable to a mobile site that looks like a squished and peeled version of a desktop site. Your website will reflect the state of your business. Clutter within the business will produce clutter on the website. Simplicity breaks down when complex features are tacked on to the middle or end of a project, or if internal buy-in of the requirements was not secured up front. Whether embarking on a new eCommerce site build or revamping an existing one, have a specific plan. Know your requirements and make sure your platform can fill them without major customization. Pick designers and programmers you trust, then let them guide you to achieving a simple, user-friendly, high-converting site. 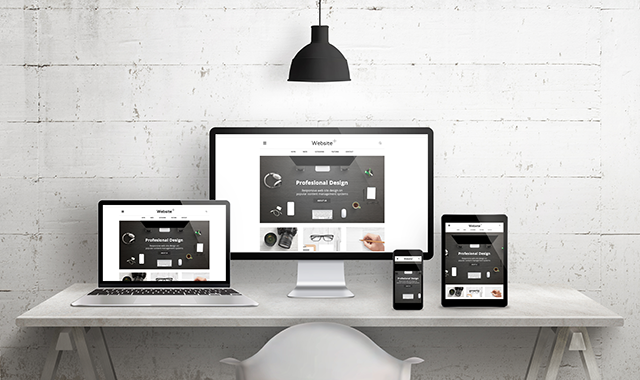 If you would like assistance with streamlining or otherwise improving the user interface of your eCommerce site, please feel to connect with our team. We’d be happy to lend a hand.